Indian companies have a mandatory two percent spending on Corporate Social Responsibility (CSR) which was improving their standings globally. But there was a need to do more work, Rajesh Chhabara, Managing Director of Singapore-based investment consultancy CSRWorks said. Indian companies need to improve on their Corporate Social Responsibility disclosure to attract more foreign investments, an Indian-origin business leader said here. "Businesses in India has a very strong tradition of community related or charity work but that is not CSR or sustainability," Chhabara said while calling on the need to build on such community work into an internationally- recognised CSR format. Indian companies are rated just behind Japan, China, Hong Kong and Taiwan, the Asian leaders in CSR. They need to improve on their CSR disclosure to attract a bigger share from USD 21.4 trillion in the globally-spread Socially Responsible Investment Funds (SRI), he said. 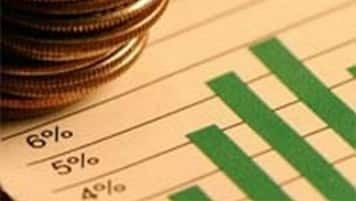 But there are more opportunities to attract the investment from the Global Sustainable Investment Alliance (GSIA) which in 2014 had an estimated USD 21.4 trillion in SRI funds for companies that disclose their social and environmental performance such as through annual Sustainability Reporting. The SRI funds has seen a phenomenal growth from USD 550 billion in 2012 which are meant for investing globally in companies that qualify on the basis of regular disclosure of sustainability performance by reporting to relevant authorities. Chhabara estimated that only 0.6 percent or USD 12.8 billion of this huge funds were being invested in Asian companies which are transparent in their CSR activities. To support the Asian companies, CSRWorks organised its inaugural Asia Sustainability Reporting Awards on January 28, 2016, with the support of the British and the Canadian High Commisssions in Singapore. "In line with global trends, more and more companies in Asia are embarking on sustainability reporting. Our aim is to encourage and promote sustainability disclosure by honouring those who have demonstrated leadership in sustainability reporting," Chhabara said. CSR is a form of corporate self-regulation integrated into a business model. India's Birla Carbon won Asia's Best online CSR Communication and Asia's Best Materiality Report awards while YES Bank took Asia's Best Community Reporting honor from 180 entries.